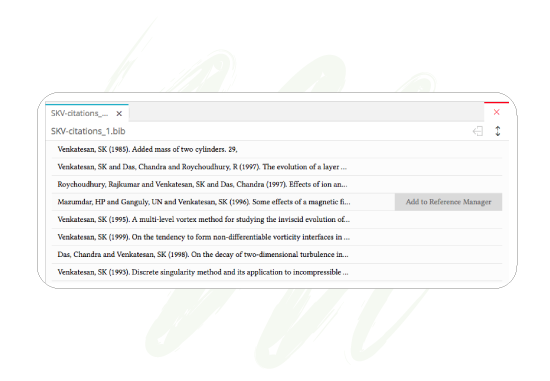 1) Search for and pull references from online sources such as Crossref, PubMed, or by DOI. 2) Add references manually. 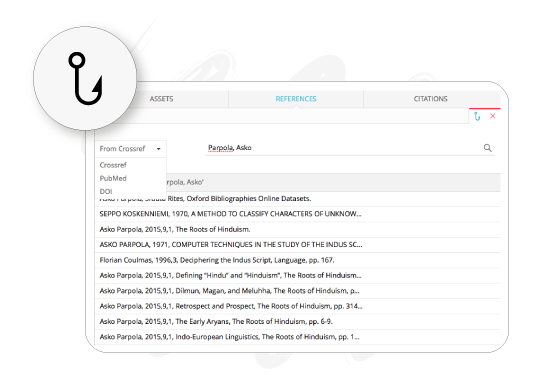 3) Or if you use a reference management application, get a BibTeX (.bib) file out of it, import it as an asset into your AuthorCafe project, pick and choose what you need, and cite the chosen references across projects. Getting your references from CrossRef, PubMed or by DOI is the easy part. 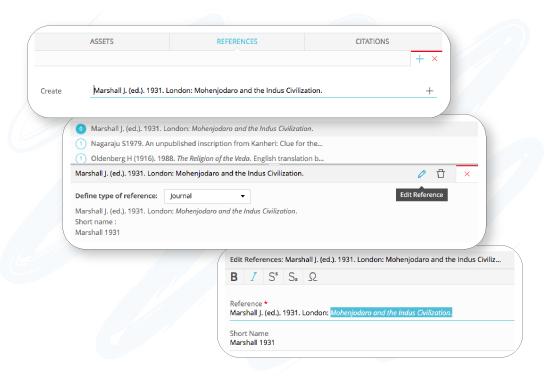 AuthorCafe helps avoid the mess that comes with references from multiple sources and presents them rendered to one clean style. You can convert to publisher style later. Key in your reference one at a time, and apply character styles as per convention. Have a .bib library? Have multiple .bib styles? While you write, make them obey one style, your style. AuthorCafe obeys the best standard, .bibtex. This is usually a last-mile step and is more about publishing than authoring. It is something best focused on once you know your target publisher. In many cases, publishers provide this service, especially if your piece is commissioned. You can also find a suitable service provider right within AuthorCafe.